Option B (Proper 3): Hosea 2: 14-20, Psalm 103: 1-13, 22, II Corinthians 3: 1-6, and Mark 2: 13-22. The Season of Christmas comes to an end not at Epiphany [6 January] and the end of the 12 days of Christmas, but 40 days after Christmas at the Feast of the Presentation or Candlemas, the great feast which falls next Friday [2 February 2018]. The theme of the readings on Sunday next, 4 February 2018, the Second Sunday before Lent, is Creation. The Old Testament reading (Proverbs 8: 1, 22-31) reminds us that our own creation, the beginning of my own life, is irrevocably linked with the very beginning of Creation, as Wisdom rejoices: ‘I was daily his delight, rejoicing before him always, rejoicing in his inhabited world and delighting in the human race’ (verses 30-31). 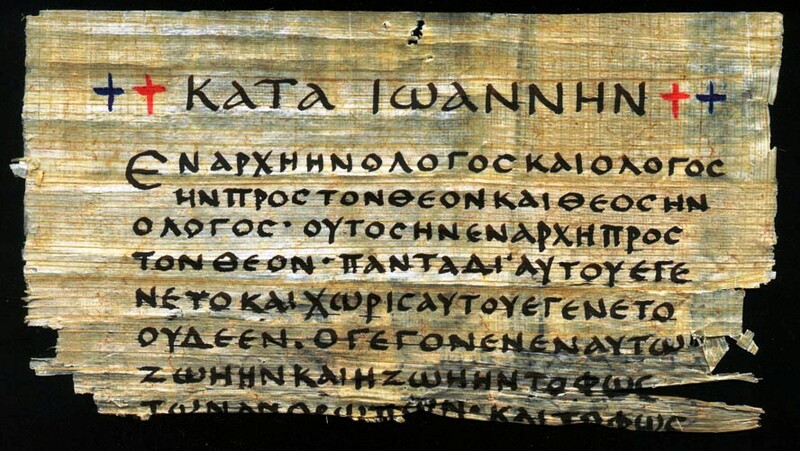 Ἐν ἀρχῇ ἦν ὁ λόγος, ‘In the beginning was the Word’ … this is one of the most dramatic opening lines in any great work of literature. And for, the Fourth Gospel, the Gospel According to Saint John, is one of the great works of literature, apart from being my favourite book in the Bible. The word ζωὴ (zoe, life) is one of those terms in John that is laden with meaning. Although the sense of ‘eternal life’ may seem difficult to apply here, a consideration of the creational basis for this concept makes it quite acceptable, for the Logos is from the beginning and the source of all life (see Genesis 2: 7, 9; 3: 22; and Revelation 22: 2). There is a close connection between life and light in the giving and sustaining of life (John 8: 12; see Psalms 13: 3; 27: 1; 56: 13; 89: 15). How should verse 5 be translated? The NIV translates the verb καταλαμβάνω (katalambáno) as ‘understood’: ‘and the darkness has not understood it.’ However, the NEB, Brown and others speak of ‘mastering’ or ‘overcomin’” the darkness. Despite the fall, the work of the Logos did not end but instead continued. Verse 9 also draws attention once again to the theme of ‘light.’ Although the description of the light as ‘true’ (ἀληθινόν, alethinon) may seem puzzling at first, as there is no reference in the Fourth Gospel to a ‘false’ or ‘lesser’ light, there is a well-established tradition in Judaism in which the Torah is symbolised by light, with which the writer may be contrasting the final and true, real and eternal revelation of God’s light. CH Dodd argues that the Old Testament sometimes identifies the people of Israel as the ‘children’ or ‘son’ or ‘sons’ of God (see Deuteronomy 14: 1; Psalm 82: 6; Hosea 1: 10; Hosea 11: 1). The word κόσμος (kosmos), first introduced in verse 9, is now explained further, in a resumption of the staircase poetic structure from verses 1-5. The word is repeated three times, in order to explain that the creation in verse 3 (particularly the human domain of that creation) painfully and inexplicably rejected the Logos on his appearance. This lack of recognition, not ‘seeing,’ by some in Jesus’ audience, is an important theme later in the Gospel (see John 9: 35-41; 11: 9, 40; 12: 37-45; and also 1:14). The remainder of the middle section expands on this theme and narrows the focus of the ‘rejection’ motif. The term ‘his own’ (ἴδια, idia, idioi) is used in two senses: the first reference in the neuter plural (‘his own things,’ NRSV; ‘that which was his own,’ NIV) refers in a general way to the place which he has made, the creation; and the second use is in the masculine plural – ‘his own (people)’ – either humanity (verses 3, 4) or, more specifically, Israel – who were brought into being through him (II Samuel 5: 2, Psalm 33: 12; Isaiah 1: 3; Jeremiah 31: 33). But Christ’s coming will not be met with complete rejection. The section concludes on the note of hope, emphasising the possibility for those who believe to be born anew and recreated through the same God who brought all of creation into being. The triple negative construction in verse 13 (‘not of blood or of the will of the flesh or of the will of man,’ NRSV; ‘not of human descent, nor of human decision, nor a husband’s will’) heightens the contrast between conventional, natural processes of the created world, and the newness which Christ’s ministry brings into the world (see John 3: 3-8). 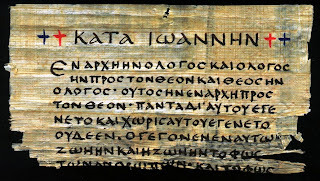 The term ‘believe in,’ πιστεύουσιν εἰς (pisteuein eis) in verse 12, is typically Johannine and appears almost 40 times in this Gospel, most often in connection with Christ (31 times), and usually in reference to saving faith. Those who believe in the Son will form a new community of people who will be ‘his own,’ in contrast to those who – although they were already his own – did not recognise or believe in him. The reading for Sunday next continues into the first verse of the third section of the Prologue, verse 14. This movement is also apparent in the writer’s use of the verb ‘to become’ (γίνομαι, ginomai) in place of ‘to be.’ In this way, he signals that the Word has taken on a new form in a dramatic way. Paradoxically, the Word that was fully God is now completely ‘flesh’ (σὰρξ, sarx), but both are equally true. There is a similar parallel between ‘was with God’ (in verse 1b) and ‘made his dwelling among us’ (verse 14b). The verb used here – ‘to make one’s dwelling’ (σκηνόω, skenoo) – draws on the Exodus traditions of a God who once lived among his people in the Tabernacle (see Exodus 33) and made his glory visible to his people there (Exodus 40: 34; see I Kings 8: 11). This theme was continued in prophetic literature, including Joel, Zechariah and Ezekiel, and is a theme in the entire story of God’s covenant with Israel. The important concept of ‘glory’ (δόξα, doxa) is introduced here. This is another of the special terms in the Fourth Gospel, where it occurs 35 of the 185 times it is found in the New Testament. It is deeply rooted in the Old Testament, where the Hebrew concept of kabod embodies the dual sense of God’s ruling divinity made visible through observable actions of great power. There is a close link here between σκηνόω (skenoo) and δόξα (doxa): ‘the Word … dwelt among us, and we have seen his glory.’ This may allude to the fulfilment of the ‘new covenant’ promises regarding the coming nearness of God to his people in a way that will replace both Tabernacle and Temple. The word μονογενοῦς (monogenous) has long been translated ‘only begotten,’ an expression linked closely to Trinitarian procession theology. Recently, it has also come to be seen in terms of Christ’s unique relationship with the Father, emphasising obedience and faithfulness to his purpose. The couplet ‘grace and truth’ (χάριτος καὶ ἀληθείας, charitos kai aletheias; also in verse 17) echoes the Hebrew pairing of ‘steadfast love’ and ‘truth,’ which are central in the covenantal self-disclosure of God in the Old Testament. For a third time, the writer is using terminology that has important significance in Exodus (see Exodus 34: 6) and that is used throughout the Old Testament covenant. He is telling us he is going to present Christ to the reader as the fulfilment of God’s previous revelation to Israel and of the hope of a second Exodus revelation. The Prologue lays the foundation for the development of the ‘realised eschatology’ of the Fourth Gospel. When Saint John speaks later of life in the sense of ‘eternal’ life, the Prologue has already established that from the beginning in Christ the eternal God and source of life is present and is among men and women for that purpose. In Christ, God enters into all the ambiguities, difficulties, and trials of human life. He comes to live among his people as one of them, revealing God at first hand, and offering new life as the source of life from the beginning. The Prologue is a model and a summons to us to think carefully and deeply about the implications of the Incarnation and to apply this concept in all its comprehensive ways to our life and our world. For all its broad, cosmic scope, the Prologue presents a direct and personal question to readers of all times: will the one who reads believe, and share in the fullness of grace given by the One who has come from the Father to dwell among us? The prophet Hosea uses marriage as a metaphor to describe the relationship between God and Israel, in which God is the husband and Israel the wife. She has succumbed to worshipping Canaanite gods, including Baal, and has come to see these pagan gods rather than God as the source of basic necessities (verse 4). So, God will take the fertility of the land away from the people. Israel will be shown to be the whore she is, and she will be punished for worshipping Baals (verse 13). However, this is not God’s final decision. He will ‘allure’ her back to the wilderness (verse 14), a place where she can again make contact with him, as he did during the Exodus. He will care for her, and he will again bless her with good vineyards or harvests (verse 15). Israel will again he fruitful and will be rejuvenated. On that day, she will become his partner and will no longer be in servitude. God will remove the temptation to worship pagan deities, will make a new covenant with all living things and abolish warfare, and so protect his people. This marriage will be forever, and the signs of the dowry will be righteousness, justice, steadfast love, mercy and faithfulness (see verse 20). The psalmist praises God for all he has done, and he gives thanks for the healing that is a sign of God’s forgiveness and the restoration of a good relationship with God. God is just to the oppressed, merciful and loving to all who fear him, is slow to anger and is forgiving; he is like a father who knows our frailty, who loves those who are faithful to him; he rules over all, so we should honour the Lord and all he has created. Because the Apostle Paul has not visited the Christians at Corinth as they expected, their trust in him has diminished. He seeks to restore this trust. He reminds them that they need to realise that, unlike other preachers, he does not use God’s word for financial gain, but offers it freely, with sincerity and as an emissary of God. But Saint Paul is cautious, and he reminds them that they are no longer dependent on the old law but are in a new covenant, and that living in the Spirit leads to eternal life. Christ is in Capernaum, on the western shore of the Sea of Galilee. He has told a paralytic man that his sins are forgiven, but some religious authorities doubt his ability to do this, saying only God can forgive sins. He has proved that he is from God by also healing the man. Tax collectors were considered unclean ritually, they worked for the occupying power and they were suspect financially. As with Peter and Andrew, Christ sees Levi the tax collector beside the sea, and he responds immediately to Christ’s call to follow him. Is this the same person as Matthew (see Matthew 9:9), the author of the first Gospel? Christ dines with people whose trades that made them ritually unclean and social outcasts. When the religiously powerful question his actions, Christ replies that he comes to call and to invite into his Kingdom those in need of repentance, not those who think they are righteous in God’s eyes. In his answer, Christ uses the metaphor of marriage between God and his people, which we came across the reading from the Prophet Hosea. Christ is the bridegroom and his followers are the wedding guests. The feast is in progress, so this is a time for joy, while after his death it will be a time for fasting. He insists that the old way of being and the new way he brings are separate, even if both are to be valued. New material stretches more than old. When wine ferments, it expands. Soft new wineskins expand with the wine, but old ones do not. 11 a.m. to 4 p.m.; and 7 p.m. to 9 p.m. Lent this year begins on Ash Wednesday, 14 February. Good Friday is on 30 March 2018, and Easter Day is Sunday 1 April 2018. I sometimes think that the misrepresentation and misinterpretation of Lent has, in turn, deprived many of its true meaning and significance. He pointed out that fasting ‘is merely a physical accompaniment to the real heart and joy of Lent: the prayer and worship that are intensified during this season …’ and he referred to the ‘joy-making mourning’ recommended by an early writer, Saint John Klimakos, in The Ladder of Divine Ascent, to the ‘bright sadness’ of Lent. At Lent, we should remind ourselves that we have all fallen short, so that we are not the people we should be. We all too easily focus on ourselves. 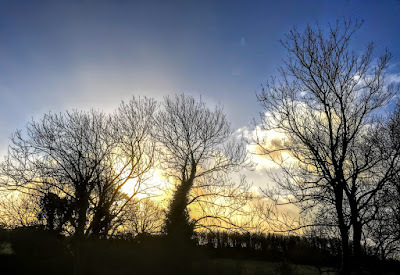 But true Lenten fasting allows us to experience a sense of freedom as we relinquish our self-centredness and can produce joy in our hearts – just what we pray for in the Collect of Ash Wednesday. Ash Wednesday, 14 February 2018: Joel 2: 1-2, 12-17 or Isaiah 58: 1-12; Psalm 51: 1-17; II Corinthians 5: 20b to 6: 10; Matthew 6: 1-6, 16-21. First Sunday in Lent, 18 February 2018: Genesis 9: 8-17; Psalm 25: 1-10; I Peter 3: 18-22; Mark 1: 9-15. Second Sunday in Lent, 25 February 2018: Genesis 17: 1-7, 15-16; Psalm 22: 23-31; Romans 4: 13-25; Mark 8: 31-38 or Mark 9: 2-9. Note: The second, optional Gospel reading is used when Option B has been taken on the Sunday before Lent. As this is an account of the Transfiguration, it is not used when the Sunday before Lent has been observed as Transfiguration Sunday. Third Sunday in Lent, 4 March 2018: Exodus 20: 1-17; Psalm 19; I Corinthians 1: 18-25; John 2: 13-22. Fourth Sunday in Lent, 11 March 2018: Numbers 21: 4-9; Psalm 107: 1-3, 17-22; Ephesians 2: 1-10; John 3: 14-21. Mothering Sunday: Exodus 2: 1-10 or I Samuel 1: 20-28; Psalm 34: 11-20 or Psalm 127: 1-4; II Corinthians 1: 3-7 or Colossians 3: 12-17; Luke 2: 33-35 or John 19: 25-27. Fifth Sunday in Lent, 18 March 2018 (Passiontide begins): Jeremiah 31: 31-34; Psalm 51: 1-12 or Psalm 119: 9-16; Hebrews 5: 5-10; John 12: 20-33. 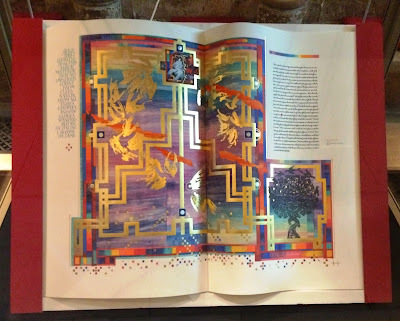 Liturgy of the Palms: Psalm 118: 1-2, 19-29; Mark 11: 1-11 or John 12: 12-16. Liturgy of the Passion: Isaiah 50: 4-9a; Psalm 31: 9-16; Philippians 2: 5-11; Mark 14: 1 to 15: 47 or Mark 15: 1-39 (40-47). Monday in Holy Week, 26 March 2018: Isaiah 42: 1-9; Psalm 36: 5-11; Hebrews 9: 11-15; John 12: 1-11. Tuesday in Holy Week, 27 March 2018: Isaiah 49: 1-7; Psalm 71: 1-14; I Corinthians 1: 18-31; John 12: 20-36. Wednesday in Holy Week, 28 March 2018: Isaiah 50: 4-9a; Psalm 70; Hebrews 12: 1-3; John 13: 21-32. Maundy Thursday, 29 March 2018: Exodus 12: 1-4 (5-10), 11-14; Psalm 116: 1, 10-17; I Corinthians 11: 23-26; John 13: 1-17, 31b-35. Good Friday, 30 March 2018: Isaiah 52: 13 to 53: 12; Psalm 22; Hebrews 10: 16-25 or Hebrews 4: 14-16; 5: 7-9; John 18: 1 to 19: 42. In the evening: John 19: 38-42 or Colossians 1: 18-23. Holy Saturday, 31 March 2018: Job 14: 1-14 or Lamentations 3: 1-9, 19-24; Psalm 31: 1-4, 15-16; I Peter 4: 1-8; Matthew 27: 57-66 or John 19:38-42. Easter Day, Resurrection of the Lord, 1 April 2018: Acts 10: 34-43 or Isaiah 25: 6-9; Psalm 118: 1-2, 14-24 or the Easter Anthems (Canticle 5/6); I Corinthians 15: 1-11 or Acts 10: 34-43; John 20: 1-18 or Mark 16: 1-8. Note: When the Old Testament selection is chosen, the Acts reading is used as the second reading at Holy Communion. The Liturgical Colour for Lent in Violet. 19 March, Saint Joseph: White. Palm Sunday: Red or Violet. Monday, Tuesday and Wednesday in Holy Week: Red or Violet. Maundy Thursday: Red or Violet, but White at the Eucharist. Good Friday and Saturday: there is no provision for a liturgical colour, and there is no celebration of Holy Communion. Ideas for Ash Wednesday include a parish quiet day, away day or retreat. The ‘Service for Ash Wednesday, the Beginning of Lent’ in the Book of Common Prayer (pp 338-343), is the only service in the book which is to be used on a specific day in the Christian Year. It dates back to the Commination Service in the 1662 Book of Common Prayer, which was altered in the Church of Ireland in 1926 with the Penitential Service. The present service is derived from one approved by the House of Bishops in 1990, which drew on earlier services and on material in the Church of England book, Lent, Holy Week, Easter (1996). You are dust, and to dust you will return. Turn from your sins and follow Christ. A rubric allows for local customs to be observed, which Bishop Miller points out ‘could include, for example, the imposition of ashes’. ‘At first this season of Lent was observed by those who were preparing for baptism at Easter and by those who were to be restored to the Church's fellowship from which they had been separated through sin. In course of time the Church came to recognize that, by a careful keeping of these days, all Christians might take to heart the call to repentance and the assurance of forgiveness proclaimed in the gospel, and so grow in faith and in devotion to our Lord. A valuable, recent resource book is Week of All Weeks by Bishop Harold Miller, a prayer book for Holy Week and Easter (Dublin: Church of Ireland Publishing, 2015). It is traditional in the dioceses too to have a celebration of the Chrism Eucharist in a cathedral or church in the diocese, when the bishops, priest, deacons and readers renew their vows. Last year in this united diocese, the Chrism Eucharist was celebrated in Saint Mary’s Church, Nenagh, Co Tipperary. Other possible resources for Maundy Thursday include foot-washing, which was introduced to Castletown Church, Kilcornan (Pallaskenry) last year. There are full resources for this in Bishop Miller’s Week of All Weeks. There is no provision for a liturgical colour, and there is no celebration of Holy Communion on Good Friday or on the Saturday. You may never even contemplate going as far as some of the Good Friday processions I have seen in Spain, Italy, Greece and Cyprus. But planning a Procession of the Cross, or ecumenical Stations of the Cross, on the streets in a parish can be a powerful public witness. Other creative options include a service based on the Seven Last Words (see Bishop Miller’s Week of All Weeks, pp 51-57), and a service with Tenebrae (see Bishop Miller’s Week of All Weeks, pp 58-61). 4, My God, my God, why have you forsaken me? Each passage here has a link to a reflection from a service in All Saints’ Church, Grangegorman, Dublin, on Good Friday 2015. Collects and Post-Communion Prayers are provided for each day in Holy Week (see pp 264-271), except Good Friday, when there is a Collect but no Post-Communion Prayer (see p 270). The Book of Common Prayer recommends the Commandments should be read at the Penitence during Lent. This canticle Gloria may be omitted in Lent. 1, 205-214: Christ’s Life and Ministry, including Lent. 2, 215-249: Christ’s Suffering and Cross, including Passion Sunday, Palm Sunday, Holy Week and Good Friday. 3, Christ’s Resurrection and Ascension. In the Church of Ireland, each day in Lent is marked as ‘Day of Discipline and Self-Denial.’ Note that this does not include any of the Sundays in Lent. The Fifth Sunday in Lent marks the beginning of Passiontide. This is difficult in the few years when Saint Patrick’s Day. This year, it means the Feast of the Annunciation is transferred from 25 March to Monday 9 April. This may create problems for some plans for the Mothers’ Union in some parishes, and for some parishes named Saint Mary’s that mark this day. The Biblical Association of the Church of Ireland (BACI) is launching its Bible studies for Lent 2018 in Church House, Dublin tomorrow [Tuesday 23 January 2018]. 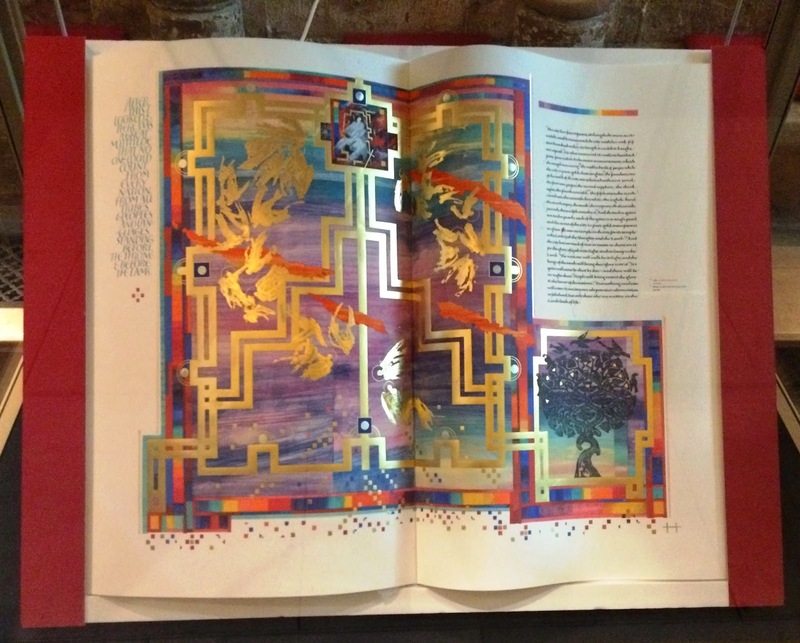 Titled ‘As the Father sent me, so I send you’ (John 20: 21), the five studies focus in turn on the Tell, Teach, Tend, Transform, and Treasure aspects of mission, moving from the teaching and pastoral care required after initial conversion to the wider social and environmental challenges of the Gospel. The five writers are the Revd Jack Kinkead (Wicklow), the Revd Lesley Robinson (Clontarf), Philip McKinley (DCU), Canon Paul Houston (Castleknock) and Mr David Ritchie of the Representative Church Body. The study pack is being launched by Archbishop Michael Jackson of Dublin. Copies will be available at the launch at a 10% discount in bundles of 10 copies. The retail price per copy is £2.25 or €2.50, obtainable from the larger cathedral bookshops or by post from the Book Well in Belfast or from the treasurer of the Biblical Association of the Church of Ireland, Barbara Bergin in Dublin, berginba@gmail.com . USPG, the United Society Partners in the Gospel, is one of the oldest Anglican mission agencies. These united dioceses are in partnership with USPG through the Mission Sunday Appeal. USPG has produced a Lent Study Course for 2018 that looks at how Anglican Churches around the world are supporting global development. The course, entitled All Things Are Possible, can be downloaded HERE. It focuses on the United Nations Sustainable Development Goals (SDGs), which replaced the Millennium Development Goals. USPG and its global church partners are giving full support to the SDGs. In particular, USPG has been inspired by the growing understanding among governments, the UN and other actors that faith-based organisations have a key role to play in global development. With this in mind, this five-week study course for Lent from USPG attempts to make clear the links between our faith and global development. USPG suggests that it is only in God that there is any real hope for lasting change. The same pages have a link that allows you to download The five Ps of the SDGs (PowerPoint) and The five Ps of the SDGs (PDF) sermon (can be used with the PowerPoint). The UN has replaced the MDGs with the 2030 Agenda for Sustainable Development, with 17 Sustainable Development Goals (SDGs). For simplicity, these have been categorised for simplicity under ‘Five Ps’, namely Prosperity, People, Planet, Peace and Partnership. This course aims to introduce these five Ps and to explore how the perspective of faith can help us – both as a church and as a world community – to meet these goals. Study 1: Prosper: What does it mean to prosper? Study 2: People: What does it mean to fulfil our potential? Study 3: Planet: What does it mean to care for the environment? Study 4: Peace: What does it mean to love our neighbour? Study 5: Partnership: What does it mean to live in partnership with God? This year’s Lent Appeal is an opportunity to join USPG and the Church in India to help set communities free from debt slavery. India’s Dalit and tribal peoples have been subject to a yoke of oppression for generations. Making USPG a focus for Lent 2018 gives a parish an opportunity to help set them free. Whole communities have become debt slaves, working in appalling conditions for no reward. Often their children are forced to leave education in order to work off their family’s crippling debt. And the cycle of oppression continues. Through the programme called ‘Let My People Go,’ USPG is working in partnership with the Church of North India to loose these bonds of injustice and let the oppressed go free. The Church of North India is predominately made up of Dalit people. Excluded from society at large, they have found a home in a church that promotes a gospel which is good news to the poor. Putting that gospel into action, ‘Let My People Go’ tackles specific issues of deprivation in income inequalities, education and health faced by Dalit and tribal communities, while addressing the core issues of caste, gender and poverty. • Lent Appeal 2018 Assembly/All Age PowerPoint, for use with both All Age and Primary Assembly scripts, is also available. Lent as a holy time of introspection, penance and preparation can be further enriched this year with Sacred Space for Lent 2018, a daily prayer experience from the Irish Jesuits and Sacred Space, the internationally known online prayer guide. This resource, published last Thursday (18 January 2018), is designed for use throughout Lent. Each day includes a Scripture reading and points of reflection, as well as a weekly topic enhanced by six steps of prayer and meditation. Although the Sacred Space website has expanded into many languages and now has a global outreach, the reflections continue to be written by Irish Jesuits. The Archbishop of Canterbury’s Lent Study Book for 2018 is Say it to God by Professor Luigi Gioia (London: Bloomsbury Continuum, 2018). The author is Professor of Systematic Theology at the Pontifical University of Sant’Anselmo in Rome, Research Associate of the Von Hügel Institute (Cambridge), and currently Visiting Scholar of the Divinity Faculty at Cambridge University. This book provides a welcome encouragement to all who feel the need to freshen their practice of prayer. For Luigi Gioia, prayer is not about methods or techniques, but trusting that God is truly interested in everything that happens to us and wants to hear about it. The book leads the reader into the theological aspects of prayer and how it relates to Christ, to the Holy Spirit and to the Church. This is done without using complex theological concepts but simply through scriptural quotations. Chapters are kept brief intentionally to make the book suitable for daily reading over the Lenten period. With a foreword by the Archbishop Justin Welby of Canterbury, Say it to God demonstrates that the everyday, even the most mundane of tasks and situations, can be applied in deepening our practice of prayer. Harold Miller, Week of All Weeks, A prayer book for Holy Week and Easter Day (Dublin: Church of Ireland Publishing, 2015). Time to Pray (London: Church House Publishing, 2006) – includes Daily Prayer for Lent, Passiontide and Easter. Monday 12 February 2018: Interfaith Day in Limerick City. Monday 12 March 2018: Maintaining and sustaining a life of prayer. (Revd Canon Professor) Patrick Comerford is Director of Education and Training in the Dioceses of Limerick, Killaloe and Ardfert. These notes were prepared for a training day with Clergy and Readers in in Saint Mary’s Rectory, Askeaton, Co Limerick, on Monday 22 January 2018. Next Sunday [28 January 2018] is the Fourth Sunday after the Epiphany. The readings in the Revised Common Lectionary are: Deuteronomy 18: 15-20; Psalm 111; I Corinthians 8: 1-13; and Mark 1: 21-28. There is a connection to the readings HERE. Next weekend, many churches throughout the Anglican Communion are also marking Holocaust Memorial Day, which falls the day before, on Saturday 27 January. This posting includes preaching and liturgical resources for next Sunday, based on both Sunday’s Lectionary readings and on resources that have been produced for Holocaust Memorial Day. The rubrics in the Book of Common Prayer also suggest the Feast of the Presentation of Christ in the Temple (2 February) may be observed on the Sunday falling between 28 January and 3 February, which is next Sunday, 28 January. There are notes on the provisions for the Presentation at the end of this posting. Last Wednesday [17 January], the calendar of the Church of England commemorated Bishop Charles Gore (1853-1932), founder of the Community of the Resurrection, the first Bishop of Birmingham, and the Editor of Lux Mundi. The story is told that Charles Gore loved to play a particular prank on friends and acquaintances. On closer inspection, he would point out, the words are preceded by ‘... ever studious to fulfil those two great commandments on which he had been taught by his divine Master ...’ (see Matthew 22: 40). Sometimes, I wonder, whether might want to hang some of those who think they are modern-day prophets when they preach the Word of God as if these are not the two commandments on which depend all the law and the prophets. In the verses immediately preceding this Old Testament reading (Deuteronomy 18: 9-14), the people are warned against false religion in the form of worshipping false idols, false gods, divination, magic, sooth-saying, sorcery and child sacrifice. At the time, this must have been seen as weird, every other religion and culture in the region engaged in these practices, and hardly saw them as superstitious. Then, having dismissed all that, Moses talks about how to tell if a prophet is a true prophet of the Lord. A true prophet is like Moses, conveying ideas and principals consistent with God’s commandments. False prophets are those who intentionally, through deceit, or unintentionally, because of self-delusion, preach false teachings or offer inaccurate predictions. The people have the laws and instructions from God that are the measure of truth for them. They stand for something so they are not to fall for just anything – in theory, anyway. If we see the Old Testament reading in these readings for next Sunday as being concerned with the law in terms of the Old Testament code repeated in Deuteronomy, we may get bogged down. But we know what the summary of the Law is: ‘You shall love the Lord your God with all your heart, and with all your soul, and with all your mind, and with all your strength … You shall love your neighbour as yourself’ (Mark 12: 30-31; see Matthew 22: 34-40; Luke 25-28). If we approach this reading in the context of the difference between knowledge and love, then we may find a more useful, reflective and pastoral way of approaching this passage. Here we find a good antidote to those who preach, and who know their Bible, but who impose their own rules and regulations on people, without taking any account of the scope of God’s love, which is seen in the life, passion, death, resurrection, ascension, and coming again of Christ. Sometimes, listening to them, or hearing about them, can be a deadening experience. If they put their preaching into practice, it might be a very love-less world indeed, and may indeed want to hang all the law and the prophets. Some years ago, as I was preparing to preach in three churches on a Sunday morning, I was asked by a student how many sermons did I normally preach. 3, Love God, and Love one another. And if that is at the heart of our preaching, we find we are preaching with knowledge and with love, perhaps even with authority. In the New Testament reading next Sunday, the Apostle Paul reminds us of the difference between knowledge and love. There is a difference between knowing who God is, and loving God, just as there is a difference between knowing who someone is, and loving that person. Discipleship, ministry, and Christian life are less about knowing, and all about loving. The Gospel reading is the story of Christ’s visit to Capernaum, where he preaches and teaches in the synagogue. All are astounded at his teaching, but when he actually puts it into practice, they are all amazed. He not only teaches, but he puts it into practice, he teaches not just with knowledge, but with authority; not only can he say, but he can do. In the previous Sunday readings, we heard how Christ has called his first disciples, Simon Peter, Andrew and the sons of Zebedee. Now this passage tells how his authority, both in word and deed, are first recognised. Christ and his disciples go to Capernaum, a prosperous town on the Sea of Galilee. In the synagogue it was the practice on Saturdays for the scribes, who specialised in the interpretation and application of Mosaic law to daily life, to quote scripture and tradition. On this Saturday, however, Christ does not follow this practice. Instead, he speaks directly, confident of his authority and of his very essence. The Greek word here, ἐξουσία (exousía), has the same roots as the word in the Nicene Creed that is translated as ‘being’ or ‘substance’: ὁμοούσιον τῷ Πατρί (‘of one substance with the Father’). The ‘man with an unclean spirit’ (verse 23) was, we might say, possessed, or under the influence of evil forces. In Jewish terms, he was under Satan’s direction, separated from God. The devil, speaking through this man (verse 24), asks what Christ is doing meddling in the domain of evil. He recognises who Christ is and that his coming spells the end of the power of the devil. He understands the significance of the coming Kingdom. Wonder-workers of the day healed using ritual or magic, but Christ exorcises simply through verbal command (verse 25), so clearly he is divine. Verse 27, on the lips of the crowd, acknowledges Christ’s ‘authority’ in word and deed. Christ preaches with authority in the synagogue. But in this Gospel reading we are not told what he said. We are only told what he did. In his actions he demonstrates the love of God and the love of others that are at the heart of the Gospel, that should be at the heart of every sermon that we preach. For the love of God and the love of others are the two commandments on which hang all the law and the prophets. On Sunday next you may prefer to reflect on readings in the light of Holocaust Memorial Day, which falls on Saturday, 27 January. This day recalls the millions of people killed in the Holocaust, the Nazi Persecution and in later genocides in Cambodia, Rwanda, Bosnia, and Darfur. The date was chosen because 27 January marks the liberation of Auschwitz-Birkenau, the largest Nazi death camp. In Ireland, the National Holocaust Memorial Day commemoration will take place on Sunday 28 January from 6 p.m. to 8 p.m. in the Round Room in the Mansion House, Dawson Street, Dublin. The Holocaust Memorial Day commemoration is firmly established in the national calendar and takes place in Dublin every year on the Sunday nearest to 27 January, the date of the liberation of Auschwitz-Birkenau. The event cherishes the memory of those who perished in the Holocaust and recalls the millions of men, women and children and others, who were persecuted and murdered by the Nazis because of their ethnicity, disability, sexual orientation, political affiliations or religious beliefs. In the run-up to Holocaust Memorial Day, Dr Barbara Warnock is speaking in the Linen Hall Library, Belfast, at 1 p.m. tomorrow [23 January 2018] telling the story of Britain and the Kindertransport, which brought children to places of safety nine months after the Nazi occupation of Austria. Anglican churches throughout the world are marking Holocaust Memorial Day. For example, the Primate of the Church in Wales, Archbishop John Davies, is encouraging churches, parishes and chaplaincies to mark Holocaust Memorial Day. The Council of Christians and Jews (CCJ) and Churches Together in Britain and Ireland (CTBI) have produced a resource pack of liturgical and homiletic material for use in worship for this year’s Holocaust Memorial Day, based on the theme ‘The Power of Words.’ This pack is available HERE. Holocaust Memorial Day is an opportunity to reflect on issues raised by the Holocaust and all genocides, and to reflect especially on the fate of European Jewry. Christians have also been among the perpetrators of genocide, as well as among the bystanders, and indeed the victims. Holocaust Memorial Day can give us cause to remember the reality that evil is still powerful in our world. It can strengthen our resolve to protect every community from discrimination, intimidation and violence. These reflections draw on the resource pack prepared by the Council of Christians and Jews (CCJ) and Churches Together in Britain and Ireland (CTBI), using the lectionary readings for Sunday 28 January (Fourth Sunday of Epiphany). Here we see Moses’s last words to the people of Israel, which were also intended to guide them in the future. His are words of power and hope that call the hearer to belief and a life lived according to God’s instruction. Prophets were chosen to speak God’s words. How do we know if someone speaks for God? Is an individual promoting their own social or political agenda? These are age-old questions. A few verses earlier (verses 10-11), the prophets of the Lord are described as the mouthpieces for God. Their proclamations are made without the common acts of divination or speaking to dead spirits. The key role of the prophet was to declare the word of God to the people. The power of words is such that in the wake of events in Paris, Barcelona and Manchester last year, slogans like I ♥ Manchester caught the public imagination. Words have the power to make or break people in an instant. One only has to think of how words were used in the Rwandan genocide to initiate crimes against neighbours. Prophets, as we read, are selected by God for the sake of the people (verses 15, 18). They answer to God, not to the people, so they are free to speak the truth. But note the prophets come ‘from among their own people’ (verse 18). These home-grown speakers know the ways and the hearts of their people and can connect with them. There words have power to build up or destroy. We should nurture and encourage one another to speak powerful words of peace that reflect love and hope and that challenge injustice. But how do we know who is speaking God’s words? Prophets speak of issues that are eternal and face every generation in times of crisis and challenge. The truth of words may not be known in this life. Perhaps, this is where faith comes to the fore. We can all be led astray by words. Often the vulnerable and weak can be exploited and great evil can be perpetrated as a result. Our challenge is to listen to God and act on his words faithfully. People generally feel much safer with boundaries. These may be cultural, religious or national boundaries, or rules that make for peaceful living in our homes. We know what we find ‘acceptable’ and what is forbidden. When we become adults, these boundaries are so ingrained that we often find it difficult to cross them. We feel safe with what we ‘know’ is right. These boundaries become barriers that are difficult to cross, so difficult that we may not even attempt to breach the boundary of talking to someone from a different faith or community. Barriers can isolate and reinforce stereotypes, cutting us off from the rich diversity and endless opportunity of the world beyond ourselves. The Apostle Paul addresses these issues in the New Testament reading. Saint Paul is addressing the Church in Corinth, living in a city that is filled with a variety of beliefs and lifestyles. As Christians, should we isolate ourselves from the world around us, or do we engage with the richly diverse world that is a melting pot of religions and cultures? On one hand, Saint Paul agrees with the freedom of engaging with a diverse, pluralistic world. His faith is strong enough to withstand this, rooted in his knowledge that there is only one true and living God, and that Christ frees us from our fear of the world in which we live. Indeed, Christ constantly crosses boundaries and is not afraid to engage with the world around him. Yet some of those early Christians in Corinth were crossing some boundaries, joining their friends at ritual meals in the temples of idols. For Saint Paul, this is a step too far. What barriers should we cross, and which ones are taboo from crossing? Should we be all things to all people? How do we listen to, understand and know others, no matter who they are? The stories of genocide are reminders of how vulnerable people were drawn into carrying out atrocities and how others died. Where do we stand when such events occur? Do we assimilate into what is going on around us and accept the status quo? Or do we engage with diversity and see the need to challenge what needs to be challenged as Christ did? The message of Epiphany is that God is here with us, drawing us into a life that sets us free from barriers and walls. God does not want us to live in isolation or in communities that do not engage with one another. We are charged to proclaim the message of love, hope and inclusion. Who do we see as figures of authority today? In this Gospel reading, we see how Christ is recognised for who he truly is. It is an Epiphany moment when he is not only recognised but so too is his authority in his words of power. In the synagogue in Capernaum, ‘they were astounded at his teaching, for he taught them as one having authority’ (verse 22). Christ demonstrates that his actions lived up to his words. Can we say that our words match our actions? Do we practice what we preach? Christ’s powerful words strike to the core of our very being, as shown by the unclean spirit leaving the man. Have any words been so powerful that they have resonated in the core of our very being? Christ’s words are words of life. This is often called the witness of the Spirit where God affirms the word of Jesus. How often have we been in the presence of someone who speaks with authority? What attributes do they have? What is the difference between those people and the dictators and perpetrators of evil, in the past and present, who demand allegiance by exploiting people’s fear? How do we as Christians respond to authorities that have and still are exterminating thousands of people? In this Gospel passage, we are confronted with the unclean spirit that can be seen as a metaphor for the presence of evil in human history. Evil today challenges us with the same words in the text ‘What can you do?’ Christ replied: ‘Be silent and come out of him.’ We read that he is not so much meek and mild but speaks with a steely authority. When we are confronted with evil and it stares us in the face, like those in the Holocaust and subsequent genocides, are we going to allow the evil to continue or are we going to stand and speak out with a moral authority that comes from God? The rubrics in the Book of Common Prayer also suggest the Feast of the Presentation of Christ in the Temple (2 February) may be observed on the Sunday falling between 28 January and 3 February, which is next Sunday, 28 January. The readings for this feast are: Malachi 3: 1-5; Psalm 24: 1-10 or Psalm 24: 7-10 or Psalm 84; Hebrews 2: 14-18; and Luke 2: 22-40. Candlemas, which comes 40 days after Christmas, recalls how the Virgin Mary presents the Christ-Child to the priests in the Temple in Jerusalem. And, because of the poverty of this family, the Virgin Mary and Saint Joseph bring two cheap doves or pigeons as their offering. It is a feast rich in meaning, with several related themes running through it. We have the contrast between the poverty of this family and the richly-endowed Temple; the young Joseph and Mary with their first-born child and the old Simeon and Anna who are probably childless; the provincial home in Nazareth and the urbane sophistication of Jerusalem; the glory of one nation, Israel, and light for all nations, the Gentiles; the birth of a child and the expectation of death; darkness and light; new birth and impending death. Candlemas has a ‘bitter-sweet’ nature. It calls for rejoicing with all in the Temple celebrating the hope and the promise that this new child brings. Yet Simeon speaks in prophetic words of the falling and rising of many and the sword that will piece the Virgin Mary’s heart. His words remind us sharply that Christmas is meaningless without the Passion and Easter. Candlemas is the climax of the Christmas and Epiphany season, the last great festival of the Christmas cycle. As we bring our Christmas celebrations to a close, this day is a real pivotal point in the Christian year, for we now shift from the cradle to the cross, from Christmas to Passiontide – Ash Wednesday and Lent are just four weeks away. Candlemas bridges the gap between Christmas and Lent; links the joy of the Christmas candles with the hope of the Pascal candle at Easter; invites us to move from celebration to reflection and preparation, and to think about the source of our hope, our inspiration, our enlightenment. The candles of Candlemas link the candles of Christmas with Good Friday and with the Easter hope symbolised in the Pascal candle. And so, to paraphrase the words of Timothy Dudley-Smith’s hymn that draw on Simeon’s prophetic words in the Canticle Nunc Dimittis, as we watch and wait in our faithful vigil for Christ’s glory in that Easter hope, may our doubting cease, may God’s silent, suffering people find deliverance and freedom from oppression, may his servants find peace, may he complete in us his perfect will. The Prophet Micah in the Old Testament reading ‘against those who oppress the hired workers in their wages, the widow, and the orphan, against those who thrust aside the alien,’ and do not fear the Lord God (Micah 3: 5)? If Mary had known what grief would pierce her soul, would she have said “Yes” to the Archangel Gabriel at the Annunciation?